Could hardly wait to return to Mount Vernon. As a member of the House of Burgesses, George Washington (c. 1792) opposed British colonial policy. 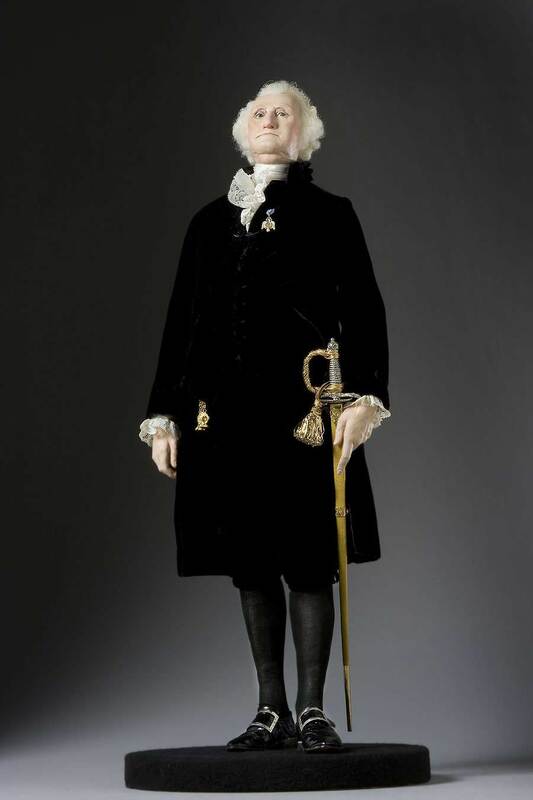 He was a delegate to the Continental Congress. 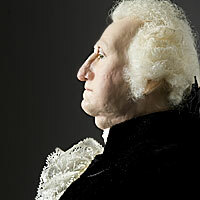 His strong military leadership was rewarded with election as the first President of the new United States of America. As President, he was a conciliator between liberal and conservative factions. 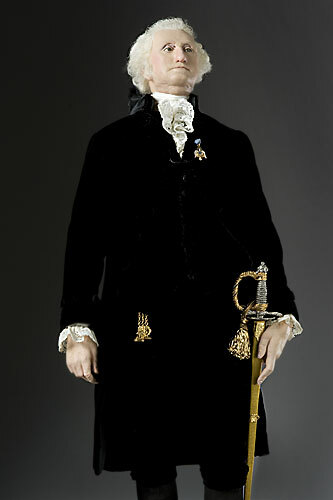 The lone medal he wears was from the Society of Cincinatti, founded in 1783 for officers who served in the Revolutionary War. 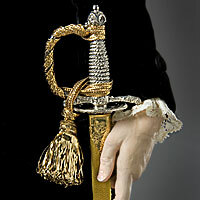 The ceremonial sword is reputed to have been sent to Washington in 1780 by Frederick the Great with a verbal message: “From the oldest General in the World to the Greatest”.